Maybe i should sneak down to the club for a few pre /pre election drinkies. Fizza has eluded the media pack and gone to Penrith. Polling out there must be dreadful for the Liberals and Fiona Scott must be in deep trouble, for Fizza to travel out there today, instead of visiting polling booths in his own electorate. The wanker took the train from Parramatta to Penrith, probably hoping to chat up some voters. Pfffft! Fizza might not have been given the welcome he hoped for. Check your fingerprints, Joe. They might be gone too. Anything that work THAT fast has to be pretty evil. Yet more election day food. I wouldn’t use it in an enclosed space. Nor near fire for that matter. Kelly of Bigmouth supporters also have big gnashers. The battle for the seat of Higgins has spilled into violence with police investigating the alleged biting of a Greens volunteer by a backer of assistant treasurer Kelly O’Dwyer. But – I really don’t think some old bloke sunk his dentures into a woman’s thumb, I think that’s just fantasy, and I don’t blame volunteers for being cranky. 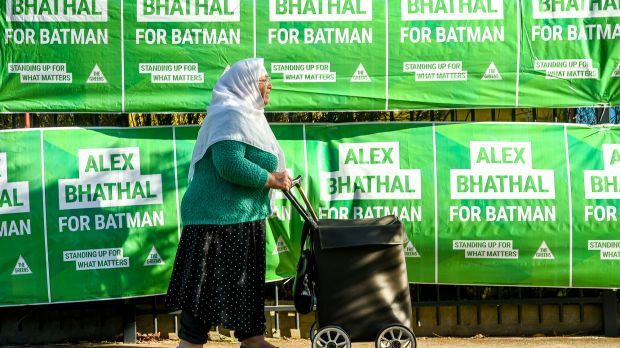 I’ve seen some pictures of what the Greens did to polling places in Melbourne – every possible centimetre of fence covered in green plastic Greens propaganda. So much for being environmentally aware. They left no space for anyone else. See my response to Kirsdarke’s query earlier in the thread (before BK’s link posts). There are AEC rules governing material at the polling booths, and the Greens are probably in breach of them (albeit I have not kept up to date). Other party volunteers would be within their rights to remove them, or if any arguments occur, to call the Returning Officer to rule on them. At the 2010 election, along the fence at the school polling booth in Warrnambool there were posters saying “Every day we pay $8m in interest rates”. 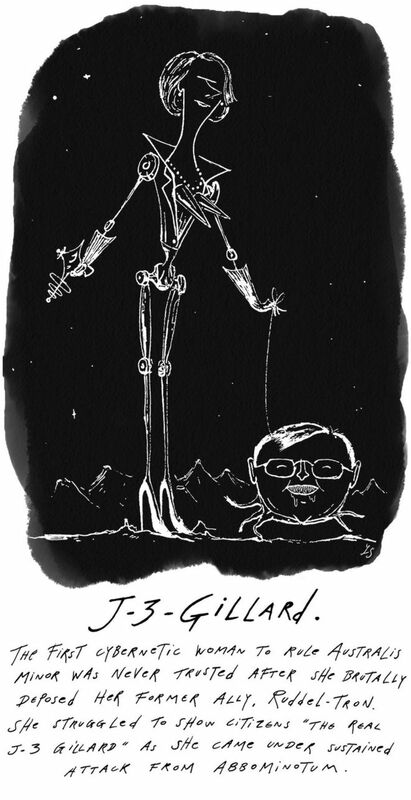 It was aimed at scaring the voters about the level of “Labor’s debt” and was quite misleading, as it as intended to be. I had a close look at it and I found that it had not been authorised by anyone and was therefor illegal. I removed the posters from the fence pointing out that they were unauthorised and unattributed, thus being illegal to display. A Liberal lady complained and we discussed with the Returning Officer. I was right and they had to be removed. A few hours later I went past there (I was driving cabs then). I went and had a look. There was a tiny stamp on them saying “authorised by A Nutt 151 Exhibition St Melbourne”. So it was then legal. Still no mention of Liberal Party but at least I’d forced that amount from them. I am dressed for war. New red T-shirt, gold (plated) ear-rings, makeup i.e warpaint, and last but not least, the dragon necklace Fiona sent me for a present. Off to dragon a booth in Makin. AND A NEW HANDBAG. red pinkish colour. The Guardian is reporting AEC officials are giving misleading advice at polling booths, telling voters they have to number 6 above the line and 12 below – not mentioning that’s the minimum, and voters can number as many more as they like. *highly amused* Red trousers (covering leggings and thick socks) but I’ve got red earrings and a new red(ish) lipstick to go with the rest of my ensemble, so I shall be joining you shortly on the front line PuffyTMD! It’s curious how excited I am. Thanks to all in The Pub for helping keep the enthusiasm up! You’ll be up against the wall, come the Revolution, Puffy. It’s Re-Education Camp for you. Bit of speculation on Twitter that Melbourne Ports could be a 3-way contest, with Kevin Bonham saying market for Lib candidate was shortening. The only seat polling I saw was IPSOS a couple of weeks back showing Danby at 28 primary, which would put him in trouble. Given his incumbency, however, I couldn’t imagine him slipping below 35, even allowing for his bad press about opposing the Greens. Nor could I imagine the Liberals primary improving on 2013. It’s almost like a yacht race. He just needs to ensure he’s at least in second place as the others are eliminated. I haven’t heard of any panic in Labor circles – so it would be against the trend if it happened. Kevin mentioned in betting on Batman, it had levelled out a bit. So maybe Feeney has a chance. A loss there would not matter so much as Melbourne Ports, where beneficiary would be a Liberal. … all hard labour in the salt mines. Ooooh. BB has a not-so-little list! Fantastic! Jennifer Byrne annoys me too. Can I be the one to pitchfork her onto the tumbril or whatever conveyance will be used as transport to the gulag? I’d also like to shove a pitchfork in Tom Iggulden’s backside if that would be permitted. You missed Marius Benson and you could include those gushing junior woodchucks who followed the leaders around and daily gleefully sprouted the CPG groupthink. The junior woodchucks could be saved after some serious re-education. I’d like to extend the first list: Cassidy, Melissa Clarke (where is she?) and some of the ones who come to the Insiders: Murphy, Taylor, Savva, and a few others, I’m sure. All the Insiders for the chop. Marike Hardy for Chairman of the Board. I knew someone would post that. You read BB’s list and it really makes you wonder on what basis the Libs call the ABC a hotbed of lefties and basket weavers. My son has reported back after doing the morning volunteer shift for Rob Oakeshott. All the volunteers were polite, friendly and happy to chat to everyone – except for the Nats crew. They wouldn’t talk to any of the other volunteers. This is standard behaviour for them. My son – a bloke with an obvious physical disability and very, VERY well known and much respected around town – was sworn at by a woman wanting to vote for the Christian Democrats when he offered her Oakeshott material. He politely refrained from saying the obvious – ‘That’s not a very Christian comment, Madam.’. Pruneface turned up early in the morning, shook hands with the Nats volunteers, ignored everyone else and buggered off. Other candidates who had turned up before he left were very happy to at least smile at all the volunteers and shake hands, even if they didn’t have time for a chat. His count – support for Oakeshott seems to running about 70%, based on the number of voters who asked for his how-to-vote stuff, or said Rob had their vote, or otherwise made supportive remarks. but that’s just one very busy centre in town. Things might be different out in the backblocks or further north. He thinks it will go down to the wire. Still feeling sick unfortunately, so I waited until later on in the day to vote so I wouldn’t be in line for too long. How-to-vote volunteers counted at 2 Labor, 1 Green, 1 Liberal and 1 John Madigan (that was also handing out cards for National in the Lower House). I was hoping to number all the boxes, but it was growing kind of frustrating with the massive paper so I just went about halfway. That’s not much fun. Best recovery! In response to Arthur Sinodinos tweeting “Getting ready for the Channel 9 election coverage from 5.30 tonight.” Bernard replied “Don’t forget to show up. Do you remember where to go?”.